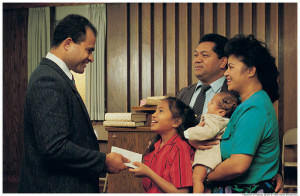 Tithing is a principle that I follow as a Latter-day Saint. We give 10% of what we earn to the Lord. I’ve had people tell me that what I do is crazy; why would I give up that much of my money and why does it even matter? I’ve even asked myself that a few times. Why does the Lord need my money? He doesn’t, but that’s not the point of paying tithing. Tithing is there to show the Lord that we are willing to give up something we value a lot, especially when we have to struggle a little bit by giving it up. By giving something we value most, money in our case, we are showing the Lord that we love Him more than we love our worldly possessions. There is a sort of parable about a mother cat. A hunter in the woods saw some boys throwing little kittens into the river. When he asked them why they were doing this, they said they had to because they couldn’t afford to keep all of the kittens. The man asked them if he could buy the cats from the boys, and they agreed. The mother cat followed the man because he now had her kittens. The man took care of the kittens. To show her appreciation, the mother cat brought a big, dead mouse to the man. The man accepted the mouse, knowing that the mouse meant so much to the cat. In my Book of Mormon class this week we read 3 Nephi 15-21. These chapters are the words that Christ spoke to the Nephites when he came to them and so when I read them before I thought I studied them well, but there is always something more you can get out of them. 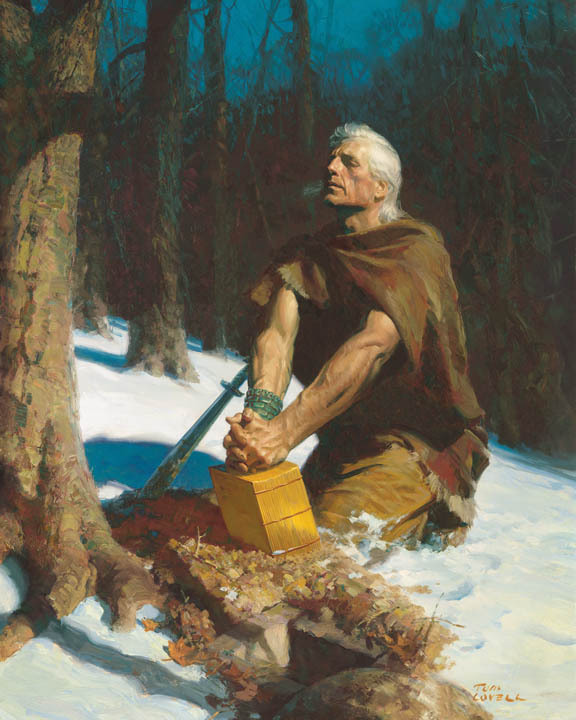 What I learned this time comes from 3 Nephi 18:1 “And it came to pass that Jesus commanded his disciples that they should bring fourth some bread and wine unto him.” In class we talked about how Jesus gave them this commandant but didn’t tell them why, and it probably seemed like an odd thing to them. Why would Jesus need bread and wine and the answer is he doesn’t, but we do. Jesus often doesn’t tell us why we need to do something, just that we should and we must take the leap of faith and act on it anyway. They didn’t know why they needed to get bread, but they did anyway because they were commanded. As a member of The Church of Jesus Christ of Latter-day Saints, (often mistakenly called the “Mormon Church”), I have been inspired by many of the scriptures we study in the church. 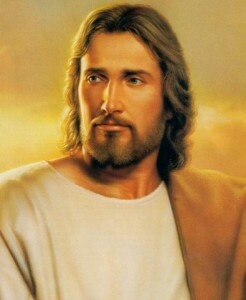 There is a passage of scripture in the Book of Mormon, (a companion scripture to the Bible which testifies of Jesus Christ), that inspires me. 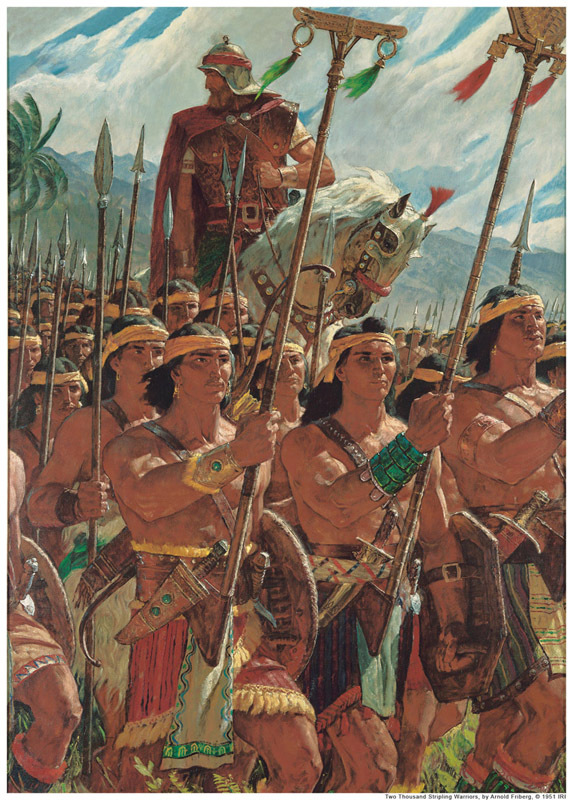 It is about Helaman’s army- the “2000” young men that are often referred to as the “Stripling Warriors.” Helaman is a prophet of God written about in the Book of Mormon similar to biblical prophets.